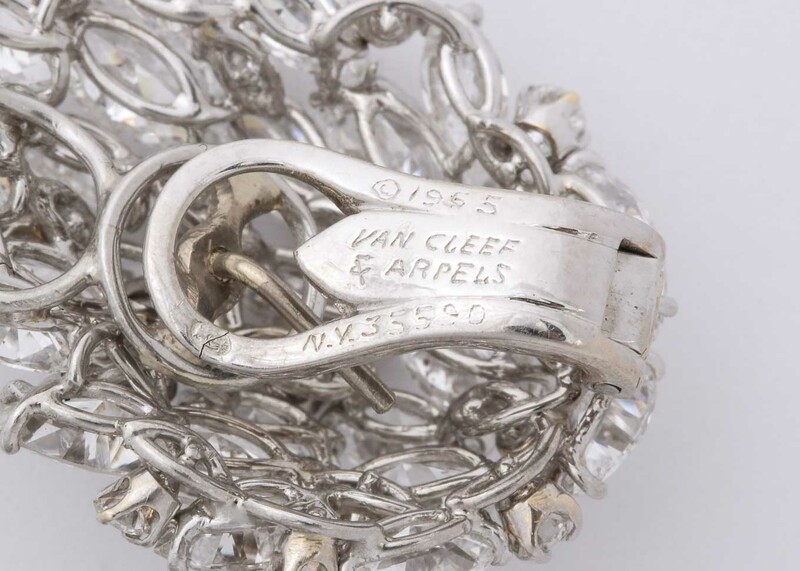 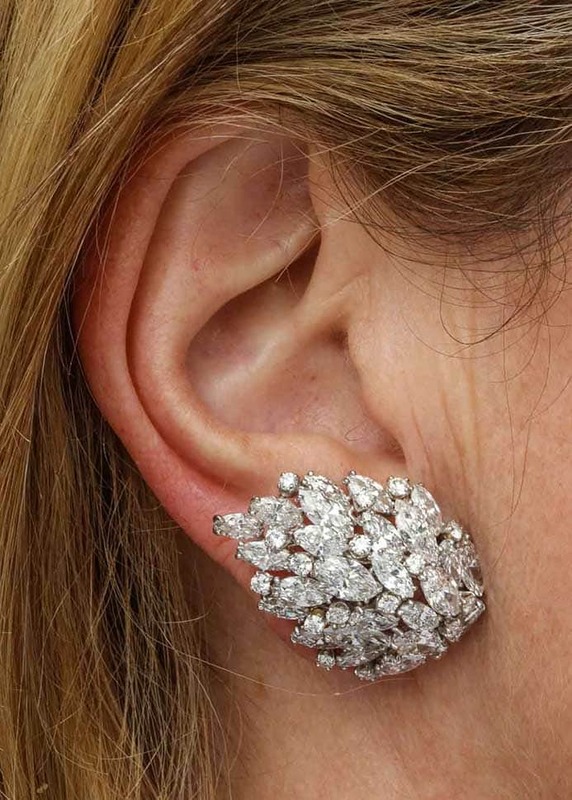 Stunning leaf design set in platinum with 15 carats of diamonds, signed Van Cleef and Arpels New York, ca.1955. 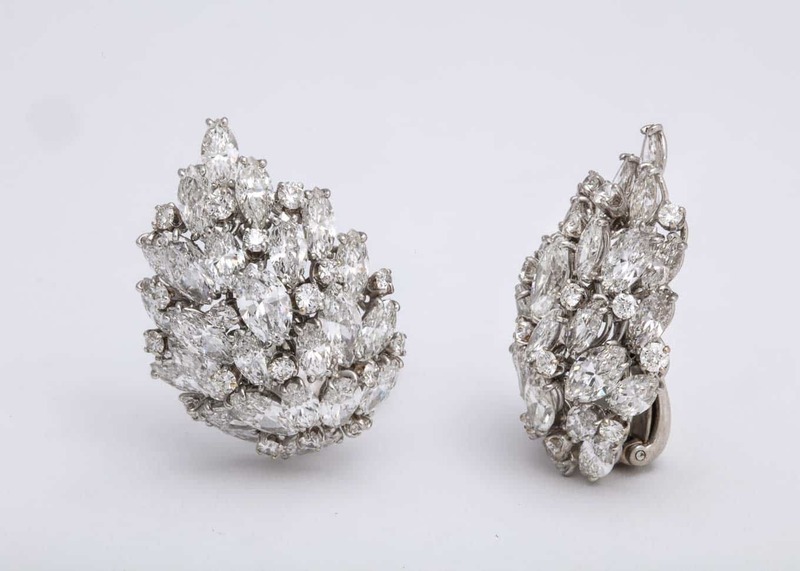 1.25 inches long. 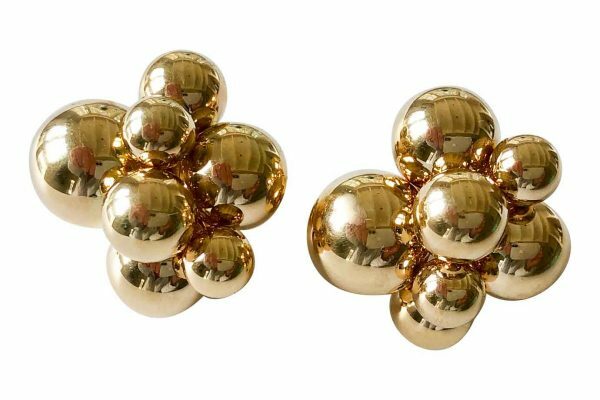 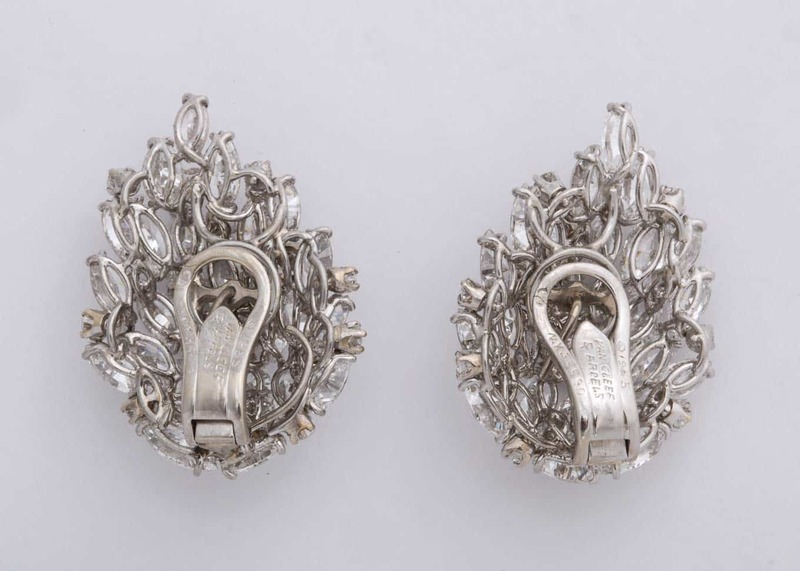 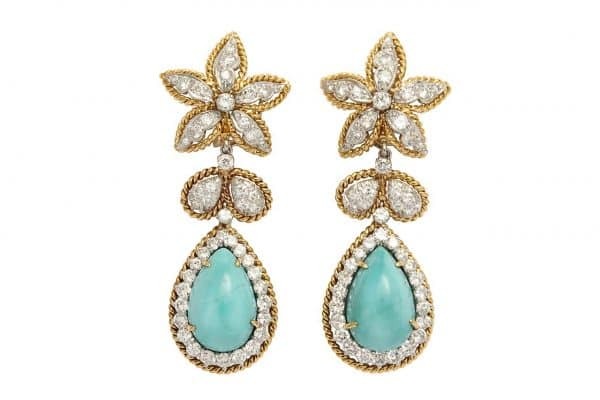 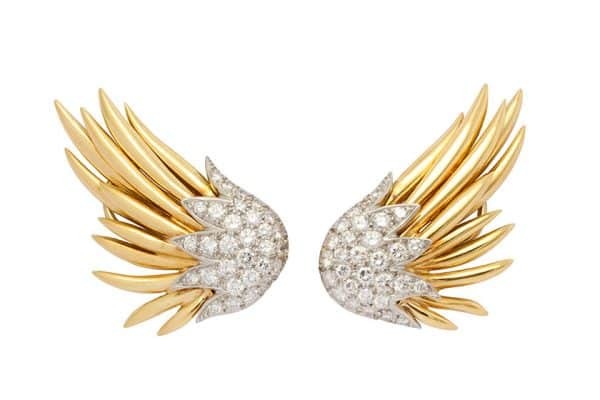 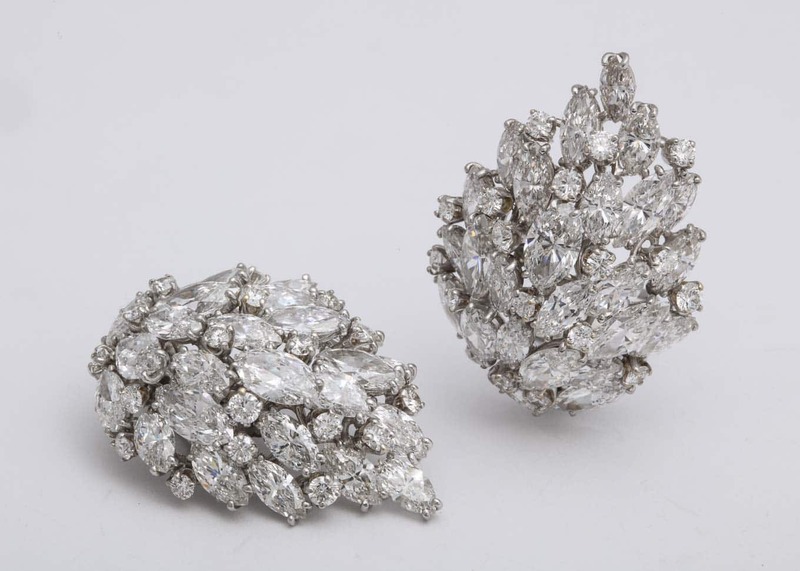 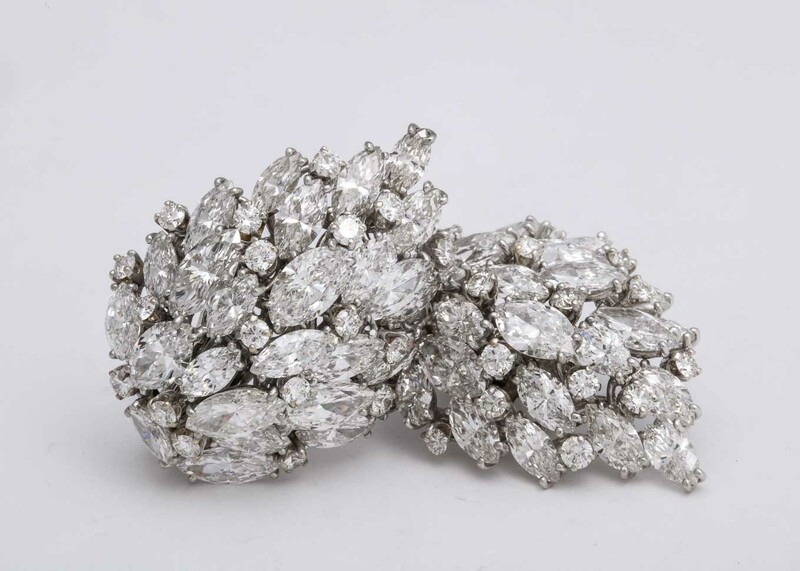 The earrings that Marilyn Monroe wore when she sang Happy Birthday to JFK. 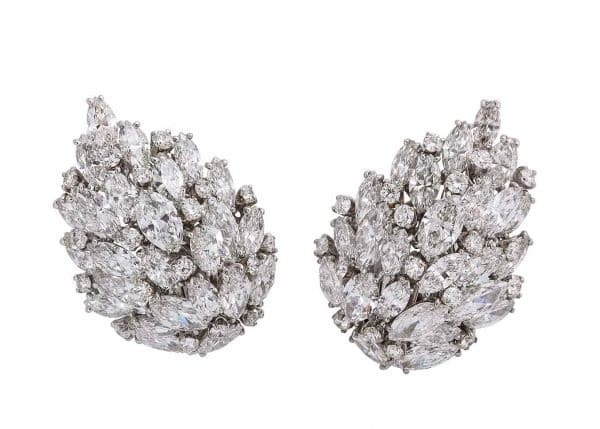 Diamonds really are a girl’s best friend.